Thomas has been hard at work again and now has small batch soaps available. This one is Tactical Beard Care ‘Australian SF’ Beard Soap. As soon as ‘Australian SF’ Beard soap arrived I couldn’t wait to try as it smelt incredible and so the next morning I gave my beard a good wash, a beautiful citrus smell hits you and the soap even produces a good lather in the hard Essex water. I found it was better to wet my beard and rub the soap on my beard rather than try and soap my hands up and then wash my beard. I can see this bar of soap lasting a long time as well. My beard had balm on it from the previous day, and my moustache had a firm hold wax but the soap made easy work of the wash and left my beard clean and feeling good. I placed the soap in a sandwich bag and put it on my bedside table, the next morning I was sat in bed with a cuppa and kept getting a sweet smell that reminded me of the sweets called refreshers from when I was a child. It took me a while to realise that it was coming from the soap and so that is where I keep it all the time as it smells so damn good. 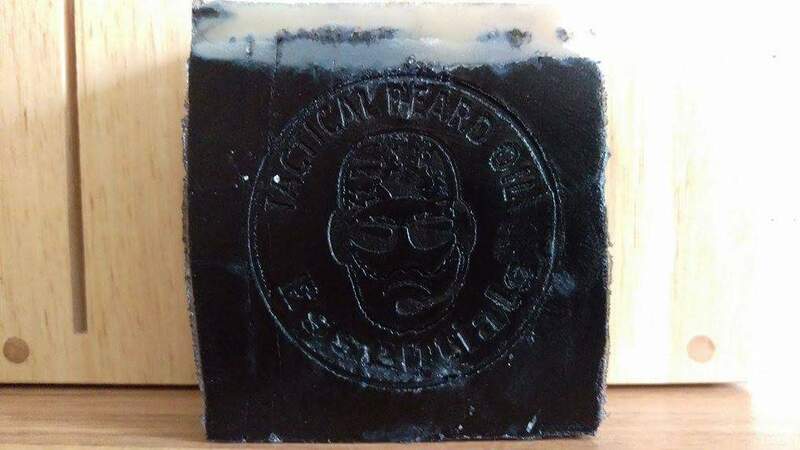 ‘Australian SF’ Beard soap is a coarse bar made with black lava salt, Australian Budda wood, Australian honey myrtle, lemongrass and rosemary and it is by far my favourite soap/shampoo that I have tested so far. Tactical beard oils based in Wales has products that are growing and evolving constantly and this company has the potential to make it big, and with products like this you won’t be sorry you that you gave them your money in exchange for some Tactical beard products. You can purchase Tactical beard products from their website and you can keep up to date with their latest products on their Facebook page.